this is the perfect announcement for parents welcoming their second or third child! 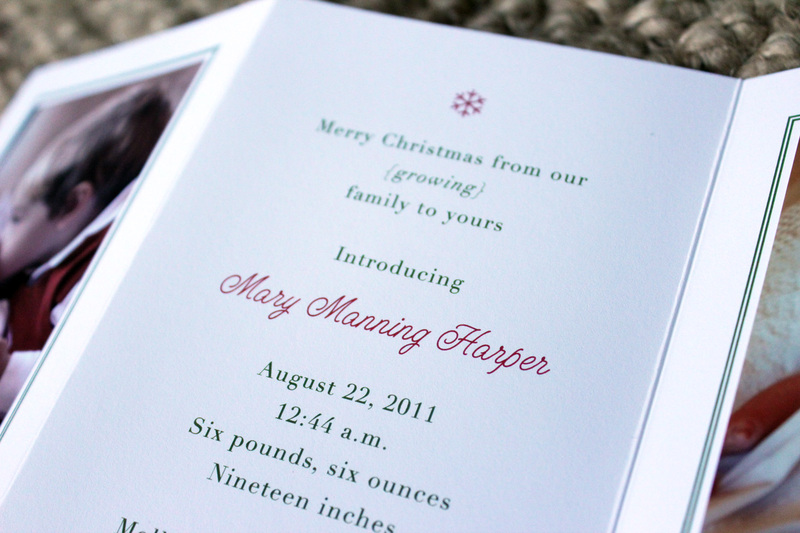 this design allows for two photos on the bookend pages (one of all the kids and one of just the new baby) – and the baby’s stats and holiday greetings in the middle. all bases covered.